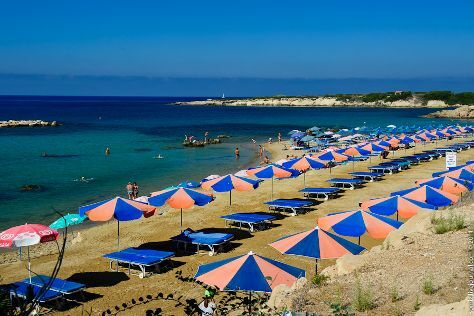 Get outdoors at Akamas Peninsula National Park and Latchi Beach. Step off the beaten path and head to Pomos Fishermans Harbour and Smigies Nature Trail. Explore Peyia's surroundings by going to Magic Bowling (in Polis) and Aphrodite Trail (in Latchi). For ratings and tourist information, refer to the Peyia trip planner. Amsterdam, The Netherlands to Peyia is an approximately 9-hour combination of flight and bus. You can also do a combination of flight, car, and bus. Due to the time zone difference, you'll lose 1 hour traveling from Amsterdam to Peyia. Expect somewhat warmer temperatures when traveling from Amsterdam in January; daily highs in Peyia reach 20°C and lows reach 10°C. Finish up your sightseeing early on the 16th (Wed) so you can go by car to Limassol. Step off the beaten path and head to Kourion Beach and Scuba & Snorkeling. Get in touch with nature at Aphrodite's Rock and Mesa Potamos Waterfalls. Get out of town with these interesting Limassol side-trips: Troodos (Troodos Mountains, Artemis Nature Trail, & more), Chantara water fall (in Foini) and Caledonia Falls (in Platres). The adventure continues: take a leisurely stroll along Promenade, test your problem-solving skills at popular escape rooms, delve into the distant past at Kourion, and head outdoors with Force Eight Watersports. To see maps, traveler tips, ratings, and more tourist information, read our Limassol online day trip planner . Getting from Peyia to Limassol by car takes about 1.5 hours. Other options: do a combination of car and bus. In January, daily temperatures in Limassol can reach 19°C, while at night they dip to 9°C. Cap off your sightseeing on the 20th (Sun) early enough to go by car to Nicosia. Get in touch with nature at Mackenzie Beach and Athalassa National Park. Discover out-of-the-way places like Scuba & Snorkeling and Buyuk Han. Explore the numerous day-trip ideas around Nicosia: Larnaca (Finikoudes Beach, Church of Saint Lazarus, & more). Traveling by car from Limassol to Nicosia takes 1.5 hours. Alternatively, you can take a bus. Traveling from Limassol in January, expect slightly colder with lows of 6°C in Nicosia. Wrap up your sightseeing on the 23rd (Wed) early enough to drive to Protaras. Get in touch with nature at Scuba & Snorkeling and Nissi Beach. Discover out-of-the-way places like Blue Lagoon and Stavros Water Sports. The adventure continues: explore the activities along Ayia Napa Harbour, get great views at Sea Caves, make a trip to Cape Greco National Forest Park, and get outside with Nissi Water Sports. To see other places to visit, ratings, photos, and more tourist information, refer to the Protaras tour planner . Traveling by car from Nicosia to Protaras takes 1.5 hours. Alternatively, you can take a bus. In January, plan for daily highs up to 19°C, and evening lows to 8°C. Finish your sightseeing early on the 26th (Sat) to allow enough time to travel back home.